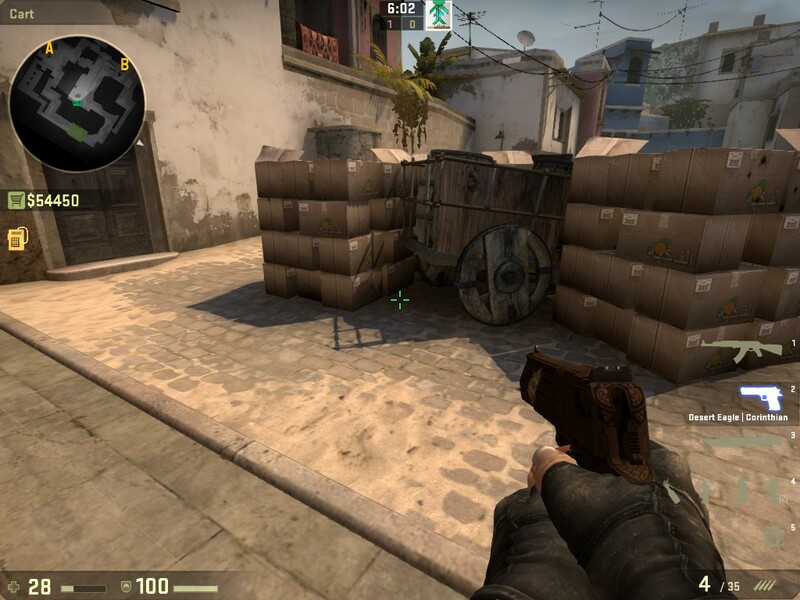 CS:GO Stats | Finding the right crosshair settings! Tips for getting the right crosshair for you! As is the case for most everything - finding the perfect crosshair settings to use vastly differs from player to player. Some like small, non-distracting dots while others prefer more detailed and bulkier options. Regardless of preference, picking the right crosshair is one of the first and most important tasks in building up your CS:GO tool kit. It will take time investment and lots of trial and error, but here are some things you can try as you search for what reticle works for you. There are five types of crosshair in the game that you can pick from -Default, Default Static, Regular Classic, Classic Dynamic, and lastly Classic Static - not including 1.6 models. Not only can you customize all four different options, but there are several sites online that list the specific sets pro players use for their own play. If you feel a little overwhelmed by people trying to explain things in game specific terms from the start, so picking a set up from a player you have seen around is a great way to start out. It also provides you with practice using different styles because those sites also recommend what crosshairs work with what types of play style. As long as you ditch the default standard model every player begins with as soon as you can, all practice from there on becomes part of the journey to finding that sweet spot. Of course, if you aren’t just going to jump in by copying a pro player’s specs you will need a place to start. First, if you have played before think on how you prefer to play. If you tend to sit back at range rather in charging in, a reticle that is bigger in the middle of your screen probably won’t be your optimal choice. In the opposite way, you also need to make sure your reticle is a color that won’t blend in with the map you are playing or practicing on. Green is one of the most used options to combat this issue. It is also important to get the gap between lines and the thickness of said lines to comfortable dimensions for how you play. Just running the default on those sliders likely won’t feel right after other customizations. There are several programs people have made for the game that can also help you decide on what you want to try out quickly. After finding something that seems to work for you - whether that be a pro’s model, something you found in the program, or just messing with yourself - it is time to test it out. Jumping straight into competitive matches probably isn’t the best decision when testing out your new tool, so instead you can use more programs or just hop into a few deathmatch rounds to see if it tickles your fancy. Even if you do find something you think works for you, go ahead and experiment with other styles just to see if you like them too. Being comfortable with several reticles might be useful if you want to swap how you play later on. There is no easy way to get better without practice, so even though your play will likely take a hit while trying out new layouts - stick with it.